Your child’s oral health is our number one concern here at Boerne Orthodontics & Pediatric Dentistry and we want to do all that we can to make sure that your child is on the path toward dental wellness. When you visit your pediatric dentist in Fair Oaks and Boerne, we’re glad to provide a plethora of dental treatments and services that’ll improve the health of your child’s teeth. One of these pediatric dentistry treatments that your child will be able to take advantage of in our office is our fluoride application. Fluoride is a naturally occurring mineral that’s essential for proper tooth development as well as the prevention of tooth decay. One of the major sources of fluoride is actually in the water that you drink. 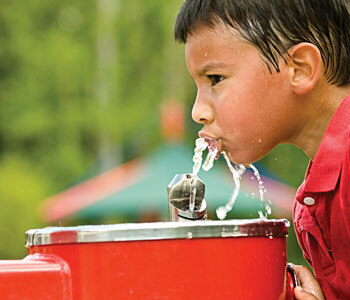 Most public water supplies contain fluoride; simply by drinking water, you can boost the health of your teeth. Not everyone has access to fluoridated water though and in some cases, that alone may not be enough. In these situations, we may recommend fluoride supplements for your child. Many kinds of toothpaste contain fluoride, which are great ways to make sure that your children’s teeth receive the fluoride exposure they need. 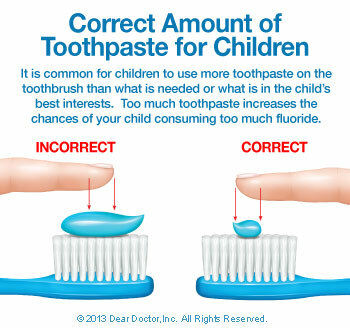 We recommend only using a pea-sized amount for children between the ages of two and six. Children younger than that should just need a tiny smear. Additionally, we can provide topical fluoride applications in our dental office. Your Boerne and Fair Oaks pediatric dentist will simply paint it right onto your child’s teeth and let it sit for a few minutes to achieve maximum effectiveness. A person’s tooth enamel is constantly under attack from acids. These acid attacks can come directly from acidic foods and drinks or they can be created by oral bacteria that produce acid when they feed on sugar that hasn’t been cleaned from the mouth. When acid eats through tooth enamel, a cavity is formed. However, when fluoride is present, it becomes part of the crystalline structure of the tooth enamel, which hardens it and makes it much more resistant to these acid attacks. Fluoride is even capable of repairing small cavities that are already starting to form. Can You Be Exposed to Too Much Fluoride? Yes, younger children can be overexposed to fluoride as their teeth are forming beneath the gum line. This is a condition that’s known as enamel fluorosis and it’s characterized by a streaked or mottled appearance. While mild fluorosis can be indicated by hard-to-see white spots, more severe cases of fluorosis can cause a dark discoloration with a pitted texture. This condition isn’t harmful, but it may require cosmetic treatment in the future. This risk for fluorosis ends at around the time a child reaches the age of nine and all of the permanent teeth have fully formed. 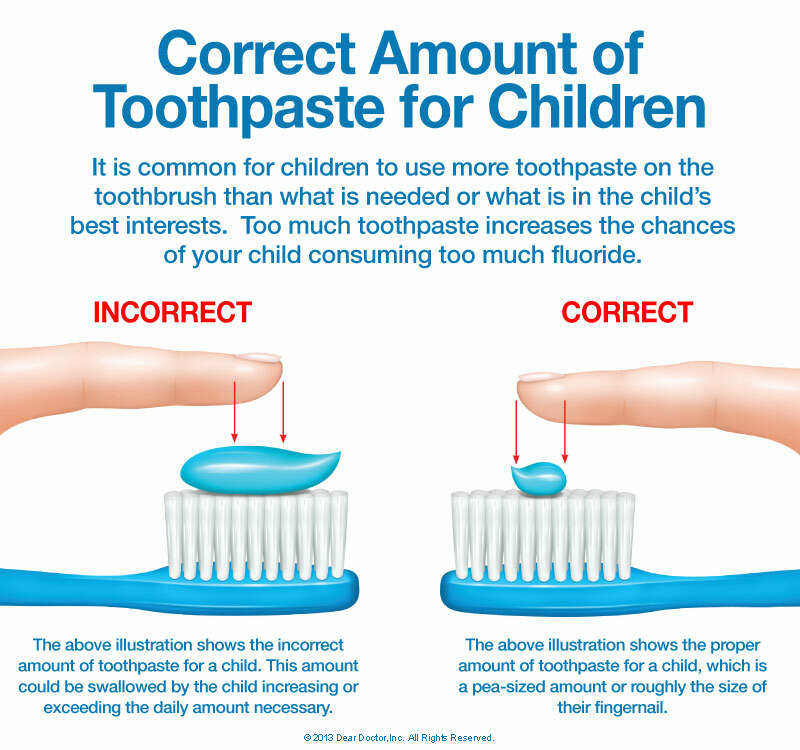 Until your child reaches that age, we’ll be happy to discuss with you how much fluoride your child will need. Your pediatric dentist in Fair Oaks and Boerne will take into account all the fluoride sources that your child benefits from and determine if fluoride application would be helpful. While caution is advised, it’s highly recommended to consider all of the advantages that this helpful mineral can bring to your child’s teeth and overall health. Visit Your Boerne and Fair Oaks Pediatric Dentist! If you’re interested in our fluoride application or any of our other pediatric dentistry treatments, we encourage you to come visit us sometime. To schedule an appointment with your pediatric dentist in Fair Oaks and Boerne, feel free to give us a call at (830) 331-8008 or fill out our appointment request form. We hope to see you soon and make sure that your child achieves dental wellness!